Spain as a place for young people come and live. Spain is a storied country of stone castles, snowcapped mountains, and sophisticated cities, which makes Spain a favored travel destination. Much of the region is traditionally given over to cattle ranching and grain production. geographically and culturally diverse. Its heartland is the Meseta, a broad central plateau half a mile above sea level. Barcelona the most famous city in Spain, Antoni Gaudi’s architecture is famous and unique. Madrid has Spain’s best museums, some excellent day trips, great nightlife and so much more. you’ll never get bored in Madrid. The jewel of Andalusia is Seville, The sounds of flamenco float out from the balconies as you sit eating tapas in the famous Barrio Santa Cruz. Spain’s best beach town, San Sebastian. Going for tapas” is an essential part of life in Spain. It isn’t so much what you eat but how – that is, a morsel food with every drink, and each one in a different bar. Lots of bars, lots of drinks, lots of great food. Tapas is not a type of food but a way of eating it: small portions, normally accompanied by a drink. After that – there are no rules! In some cities, the tapas are given away for free with every drink. Flamenco is not ‘a dance’. It’s a complete art form that involves singing, guitar, handclaps and, sometimes, dancing. 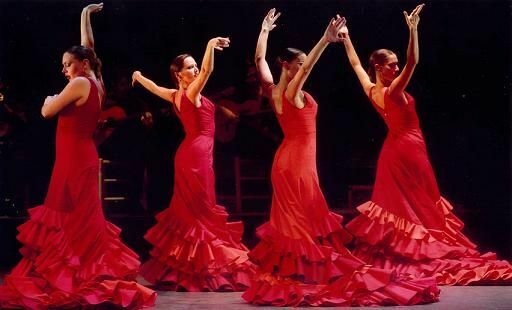 You don’t know what flamenco is until you’ve seen it. Golden triangle of art museums, The Museo del Prado, the Reina Sofia and the Thyssen-Bornemisza are three of the best art museums in Spain. Spain has a wealth of famous festivals, as well as hundreds of smaller fests every year. Spain has the best beaches, La Concha Beach, Playa De Las Catedrals, Beaches Of Sitges, Tarifa etc.., are the best beaches in Spain. and also nightlife over there is extreme funfilled.